Part of the romance of a natural diamond is that it came from completely unique rough crystal, unlike any other. Nearly all diamonds have natural characteristics that formed over millions of years, called inclusions. Most are microscopic and need magnification to detect. Others may be visible with the naked eye. In no two diamonds will they be the same. Clarity grades are assigned by examining the finished diamond face-up at 10X magnification in neutral lighting. When strictly graded, F and IF indicate the diamond is Flawless, or Internally Flawless; revealing no inclusions at this magnification. VVS1 and VVS2 indicate Very Very Slight inclusions; only the most minute imperfections were detected. VS1 and VS2 imply Very Slight inclusions; the grader saw only minor characteristics. SI1 and SI2 grades indicate the diamond was Slightly Included; inclusions were notable under 10X magnification. I1 means Included; characteristics were obvious to the grader when magnified. I2 and I3 grades are reserved for diamonds with extremely obvious inclusions and/or durability issues caused by their clarity features. The world’s largest labs are soft on clarity. Diamonds in most chain stores, malls and discount outlets may have more obvious inclusions for their grade than diamonds sent to the stricter labs. This can give casual shoppers a false and negative first impression about certain clarity grades. 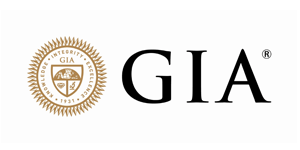 The world’s best diamonds are sent to the Gemological Institute of America (GIA) and American Gem Society (AGS). These labs employ strict and consistent standards. Diamonds with AGS and GIA reports command a higher premium and hold their value better than diamonds from softer labs. 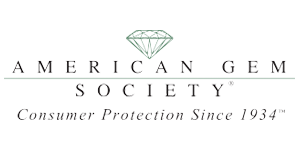 No two diamonds are alike, but when AGS and GIA standards are applied it is commonplace for diamonds SI1 and higher to have no visible inclusions face-up to the average vision in normal lighting. Since the goal of most cutters is to maximize carat weight from a piece of rough the “lay” of inclusions is often secondary to producing the greatest possible yield. However, when the cutter’s priority is cut quality he can plan the “lay” of a grade-setting inclusion to reduce its face-up visibility. It may be impossible to omit primary characteristics (and the resulting clarity grade) but a skilled cutter can orient the rough so that they become transparent or less visible. This is particularly true for the SI2 and I1 clarity grades. Diamonds planned for the best “lay” of inclusions are surprisingly clean. A crystal inclusion seen in one orientation may become invisible with a slight design adjustment. Summa Diamonds also have superior brightness and scintillation, even when removed from jewelry store lighting, and this helps to mask inclusions. In fact, when selling Summa Diamonds we must discourage conventional thinking – about the I1 clarity in particular – because well-planned diamonds break conventional barriers. Time and again people are surprised when they choose a “favorite” diamond that is grades below their previously imagined clarity threshold.